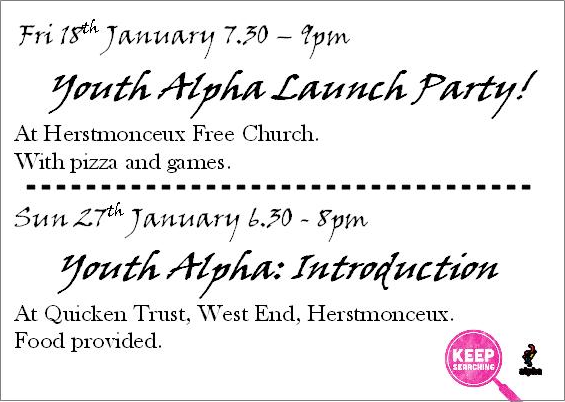 Youth alpha launch party on Friday the 18th of January, introductory session on Sunday the 27th of January. Please feel free to invite youth in the age bracket 11-14 along to the launch this Friday. We will be running a Youth Alpha course starting on Sunday evenings, the course will be run jointly with the parish churches. There will be a launch event at youth club on Friday the 18th of January and the introduction session is on Sunday the 27th of January. For more information please contact us! 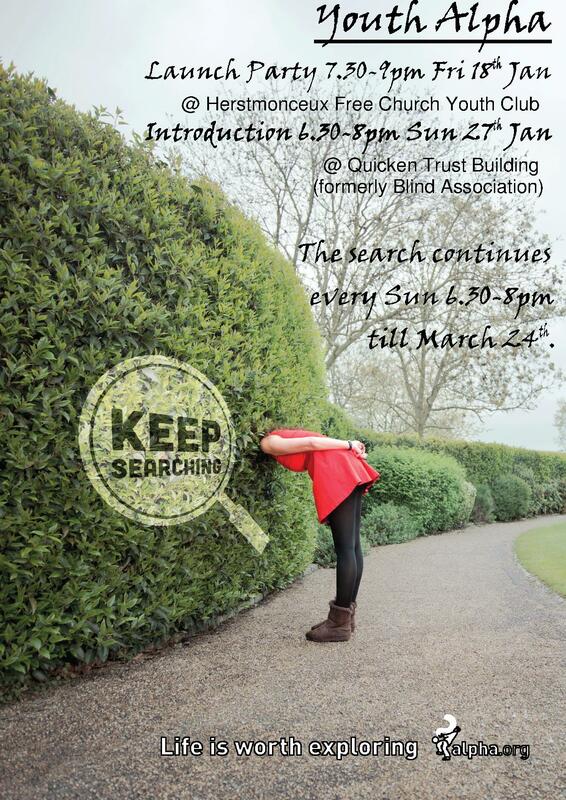 Squeeze breakfast club, 10am on Sunday the 6th of January at Herstmonceux Village Hall. Carols by candlelight, followed by light refreshments. There will be no morning service. Join us for a 45 minute service as we celebrate Christmas Day. 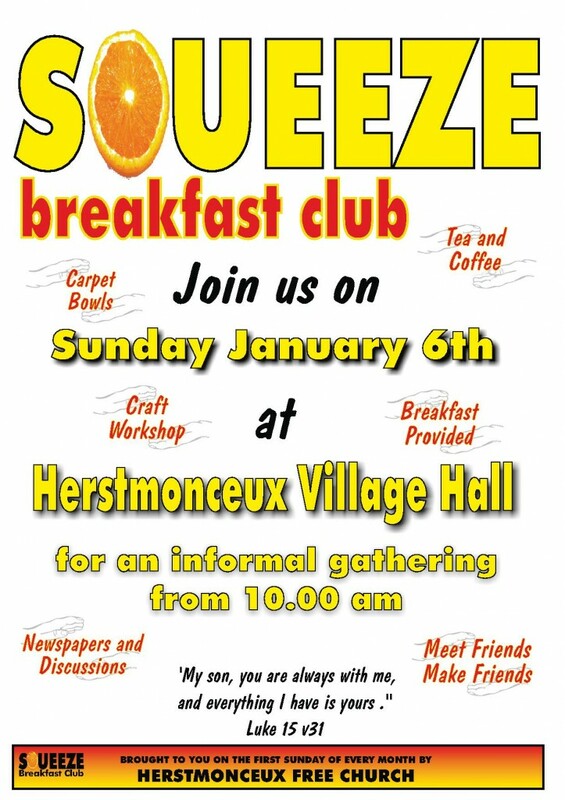 Squeeze Breakfast club at Herstmonceux Village Hall. Breakfast, newspapers and crafts. The one who is the true light, who gives light to everyone, was coming into the world. John 1, v 9. Christmas tree lights – don’t you love them when they are up! Never mind trying to find them in the loft. Then plugging them in before they go on the tree to see that they work. They did when you put them away and they come with a guarantee – they will not work when you get them out. They need a bulb replaced – so where’s that spare one? I’m sure we had two or three!! But lost they are. Off to the shops to get some spare bulbs that cost more than the whole set. At last they are up and working, and don’t you just love them. They reflect the Christmas Gift of a Child who would grow and become our Saviour. Jesus, among whose names is Light of the World. And yet we forget the Christ in Christmas. Do the twinkling lights distract us from the True Light? A light that does not fail us and as our relationship with Jesus grows, so we can reflect his light. To reflect on the Baby who was fed in a feeding trough. To reflect on the Christ Light. To reflect on Christ’s provision of the Gift of Life. You see, it’s simple to plug in those tree lights. It’s simple to plug into the Light of the World. Jesus. The Christ in Christmas. He has already sent the Invitation to you – Reflect and Respond if you please. He is so pleased to lighten your Christmas this and every year. LET IT SNOW, LET IT SNOW – ON PAPER! 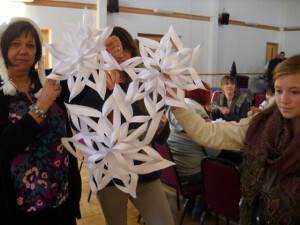 Handicrafts at the December Squeeze were very much on the festive theme: giant snowflakes carefully snipped from folded sheets of paper appealed to the ladies-who-used-to-dressmake; wine glasses and jam jars took on a new purpose at the hands of glass painters. 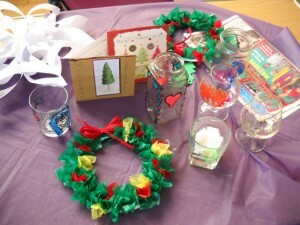 Those who lacked Christmas cards or table decorations had the opportunity to make their own from materials provided. 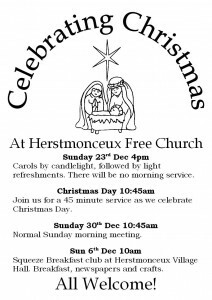 CAROLS BY CANDLELIGHT: Sunday 23rd December at 4pm. Please bring tinned foodstuffs for local homeless. CHRISTMAS DAY: Tuesday 25th December at 10.45am.